Despite all the talk of making Austin more urban, it turns out Austin’s growth is mostly on the outskirts in the suburbs, according to a new study from the New York Times and reported on by The Austin Business Journal. 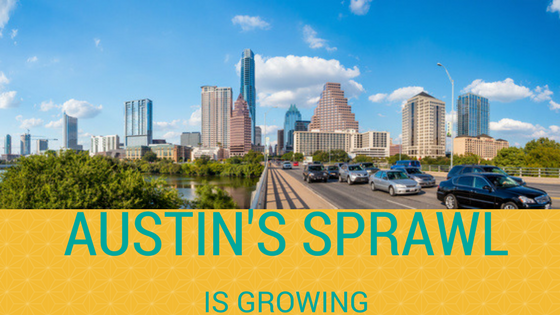 Austin’s rate of sprawl was among the highest in the nation and beat out only by San Antonio. Overall, from 2010-2016, over 80% of the metropolitan areas in the country with one million or more residents have become less dense. Urbanists have been calling for more housing in the heart of Austin for years, and hoped that CodeNEXT, a rewrite of the land development code in Austin, could have the desired effect. However, preliminary analysis finds it more difficult to build under the new code than under the old rules. In general across the nation, the densest metro areas became more dense and the more sprawling ones became even less dense. The most sprawling metro areas were concentrated in the Sunbelt and included Houston and Oklahoma City right behind Austin and San Antonio. Looking to get an apartment in the center of the city? 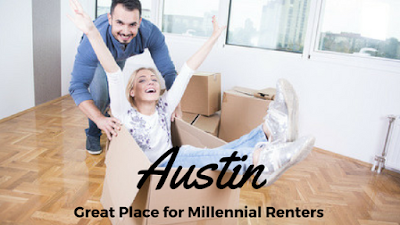 Give Austin Apartment Specialists a call today at 512-241-1111 to find the perfect home anywhere in Austin today! 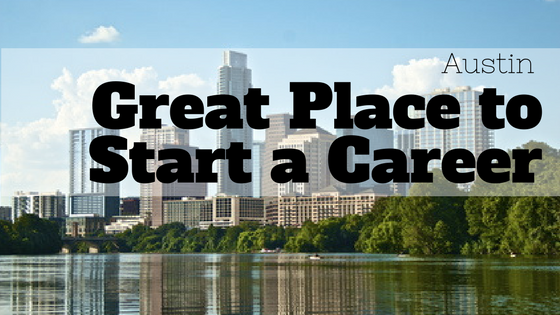 Austin nabbed the #3 spot on WalletHub’s list of the Best Places to Start a Career, the Austin Business Journal reports. Salt Lake City and Orlando Florida were the only cities ranked higher than Austin. The report looked at opportunities for professional growth as well as quality of life to determine its list. Austin was number three for population growth and number four for monthly salary relative to cost of living. Austin’s low unemployment rate also worked in its favor as well as the large number of residents 25 and older with at least a Bachelor’s Degree. Austin came in at number 32 for “fun-friendliness”, and only 48 for workplace diversity. Looking to get your career off the ground in Austin? Give Austin Apartment Specialists South a call today at 512-912-8000 to find a great apartment to serve as home base! On the heels of being ranked the best city in the country for millennials to live, HomeUnion has ranked Austin as number three on a list of the best cities in the US for millennials to rent. HomeUnion looked at public school ratings, how long commutes take, and affordability to determine the rankings. Rent could not exceed 2.5 times income. Central Austin, in particular the 78705 zip code around Hyde Park, nabbed the top spot on the list. It ranked 86 for public school ratings, has an average commute time of 33 minutes, and monthly rent is $1,904. That’s just 39% of millennials’ median household income in the Austin area. No other Texas cities made the list of best places for millennials to rent nor the list of best places to buy. Austin was beat out by Milwaukee and Louisville, Kentucky on the best places to rent list and St. Louis; West Palm Beach, Florida; Pittsburgh, Cleveland; and Oklahoma City topped the best places for millennials to buy list. Looking to rent in Austin? Austin Apartment Specialists can help you find the perfect apartment no matter what stage of life you’re at. Give us a call at 512-241-1111 to find your new home today!